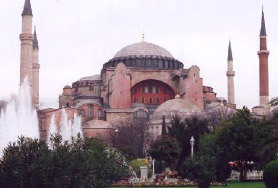 Exploring Turkeys Ancient Sites Takes You Back in Time. If you always wanted to visit the moving battlefields of Gallipoli this is the way to do it ON our 8 Day package from Istanbul. Then on to Troy with it’s multi layers of civilisation and Pergamums amazing Acropolis before arriving in Selcuk. 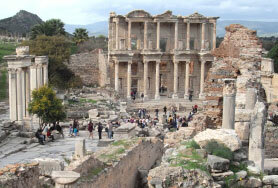 Ephesus will amaze you with it’s beauty and ancient history! 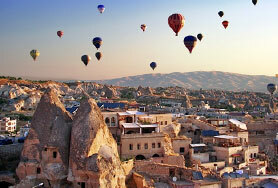 Pamukkale and Hierropolis and then on to Antalya for the splendors of Olympus. Meet the locals on a bus trip through the Anatolian landscape before arriving for the final part of your journey in Cappadocia. Stay in a cave hotel and marvel at the moonlike landscape as you see all that this unique place has to offer. Flıght back to Istanbul is included. 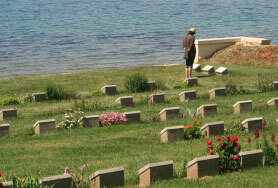 Check-out and travel to Gallipoli. 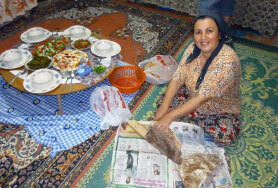 Lunch on arrival in Eceabat. After lunch visit Anzac Cove, original tunnels and trenches at Johnston Jolly, The Nek Cemetery, Chunuk Bair New Zealand Memorial, Lone Pine Australian Memorial and Brighton Beach. Evening in Canakkale. 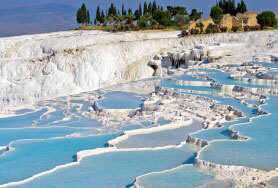 Check out and drive to Pamukkale. Visit the ancient city of Hierapolis with its Temple of Apollo, the Theatre, Necropolis and baths of Hierapolis Antique City. 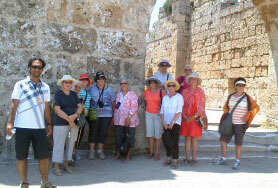 Finally visit the calcium terraces and pools.After tour bus to Antalya. 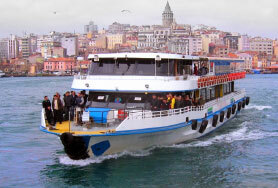 On arrival in Antalya you will take a taxi to your hotel. Evening in Antalya.